Beulah Grove CDC - Compassion In Action Food Pantry. Donate now to provide meals to the less fortunate in our community. Donate to Seniors and Children who go to bed Hungry. The Compassion in Action Food Pantry was established in February 2014. 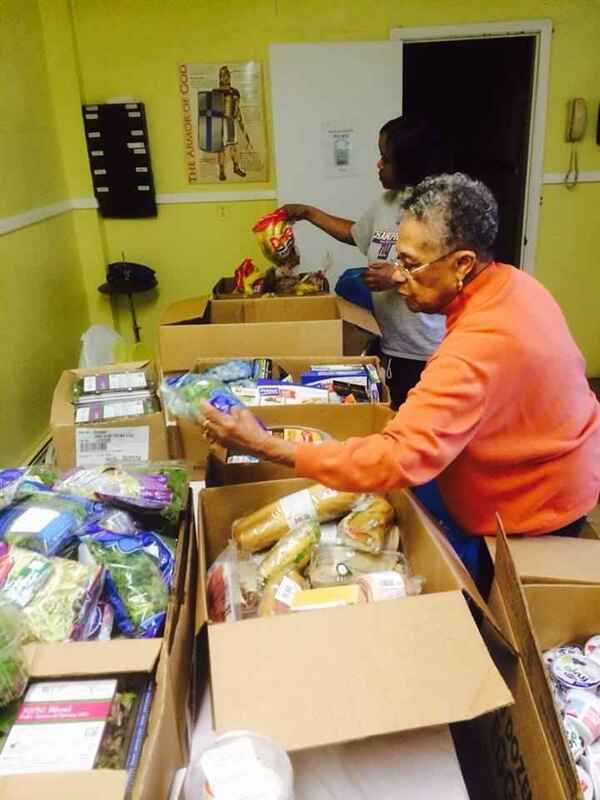 Seeing a desperate need in the community and vision of our Pastor, 2 Ladies began to volunteer their Tuesdays to help fight Hunger, by providing non perishable food items. Within a 2 month span the pantry has grown from serving 8-10 families a week to more than 60 families (at times having to turn away families due to the our food supply running out) a week who look forward to receiving food due to economical challenges. .
With an steady increase in the number of families served, we thank you in advance for your generous donation which would be a great asset to help provide food within our community. We also encourage non perishable items from hosting a food drive. Beulah Grove CDC is a 501c3 which provides tax receiprt for all donations.